Briana joined Watsi on September 29th, 2013. Four years ago, Briana became the 580th member to automatically support a new Watsi patient every month. Since then, 4,507 more people have become monthly donors! 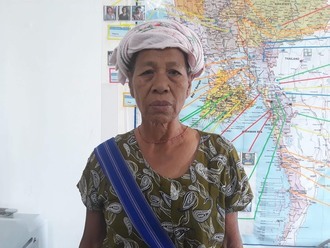 Briana's most recent donation traveled 8,800 miles to support Koem Sreang, a woman from Cambodia, to fund ear surgery. Briana has funded healthcare for 45 patients in 9 countries. Joseph is a motorcycle taxi operator from Kenya. He is a father of one child. Joseph and his mother were in a car accident late last year, both suffering fractures on their limbs. His wounds have developed infections, necessitating debridement and a skin graft. Fortunately, our medical partner, African Mission Healthcare Foundation, is helping Joseph receive treatment. On March 8, surgeons will perform a debridement and skin graft procedure to heal his infected would. Now, Joseph needs help to fund this $1,129 procedure. Joseph says, “My prayer is to be treated and provide for my young family." Anna is a 49-year-old woman from Kenya. 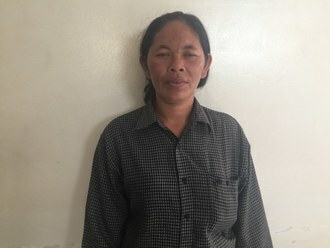 She is the mother of seven children, all of whom are in school. Her husband recently lost his hand in a road accident, which has taken him out of work. Recently, the family has been having difficulty earning enough money to meet their needs. In July 2015, Anna slipped and fell. Since then, she has had a dislocated ankle. She has spent three years in pain and has undergone several unsuccessful attempts to get treatment. Finally, she was referred to our medical partner's care center. On April 9, Anna will undergo ankle fusion surgery. Now, her family needs help raising $793 to fund this procedure. Anna says, “I want to be there for my family which desperately needs me. I hope that soon I will be able to ambulate with ease."